I know you’re guilty of binge watching Netflix (aren’t we all). Whenever I finish a series I start looking for the next one on the chopping block but I can often be skeptical when I discover something new. 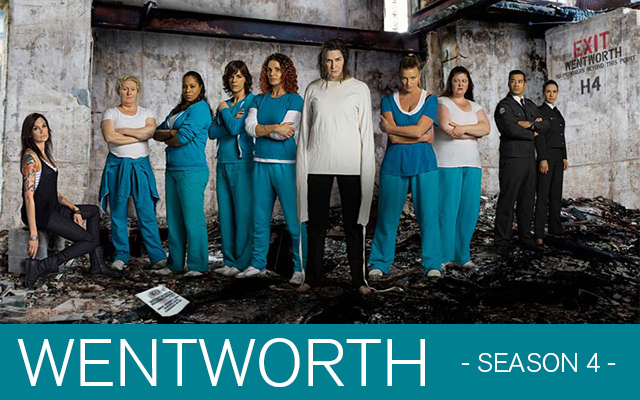 I recently came across the show Wentworth and I was pleasantly surprised. I had simply turned it on for background noise while I was doing some stuff around the house but I was stopped in my tracks once it caught my attention. Yes, I am guilty of binge watching the show Wentworth. I ended up watching all four seasons in two weeks. Is that bad? All I know is that I fell in love with the characters and just couldn’t stop watching. If you haven’t heard of Wentworth before it is a contemporary revival of a classic Australian prison drama series adapted from a show called Prisoner, a show that ran from 1979-1986. The show started off with Bea Smith entering prison after being charged with the attempted murder of her husband. Bea is separated from her daughter and sent to Wentworth. As soon as she enters she quickly forced to learn how the prison system works. Well today is an exciting day since season 4 is released today on Foxtel / SoHo. I can’t wait to see what happens with Bea Smith, “The Freak” Joan Ferguson and if Frankie actually stays out of prison. The show first aired back in 2013, released three months before Orange Is The New Black. The two shows have a ton of similarities but they are very, very different! The acting is really good and you get sucked into the characters and their story lines. If you haven’t seen this show yet give the first season a chance! Here is what some fans had to say at the season 4 episode one premiere. Netflix generally launches the entire season usually four months after the last episode airs, so you probably will not be able to watch it until November or December. I know I can’t wait that long! This entry was posted in Fun Stuff, Women Crush and tagged Bea Smith, netflix, Wentworth by Janey Grace. Bookmark the permalink.